Thank you to everybody who supported us yesterday in the Bromley Council Elections. Kathy Bance and Kevin Brooks were re-elected with 3259 and 2828 respectively. They are joined by Simon Jeal who replaces Peter Fookes with 2692 votes. The turnout was 40%. Elsewhere, Labour gained a third seat in Clock House with Josh King elected to Bromley. The full make up of Bromley is 50 Tories, 8 Labour and 2 Independents in Biggin Hill. 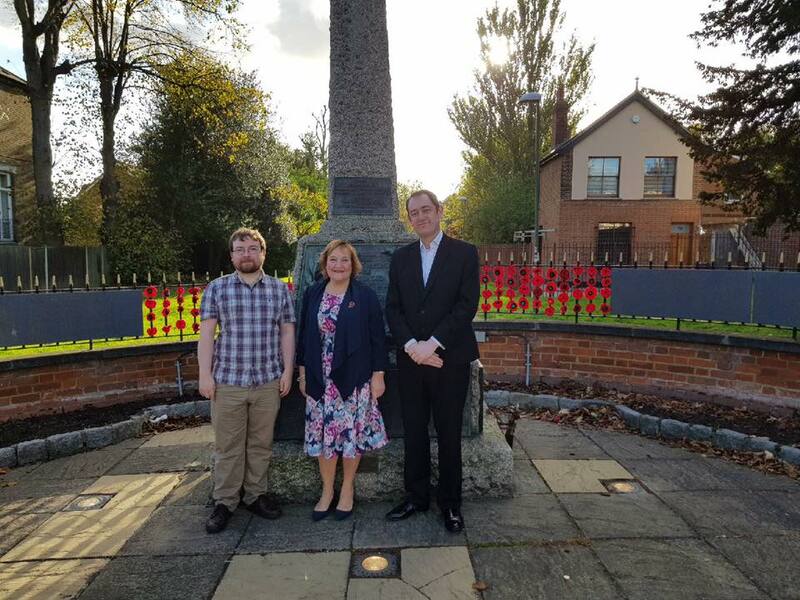 For more information, please go to http://www.Bromley.gov.uk Below are Simon, Kathy and Kevin outside the Penge Cenotaph in the High Street.